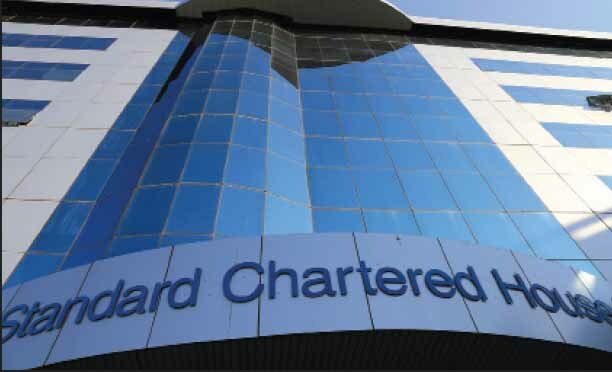 While the banking sector continues to experience depressed trading conditions and tight competition in Botswana, Standard Chartered Bank Botswana has shown that innovation and technology products are key to the bank’s growth and sustainability. Head of Retail Banking, Pedzani Tafa said the bank is offering its customers a world-class digital banking experience. The Global Finance has recently awarded the bank, the best Consumer Digital Bank. The prestigious award was one of 23 awards that Standard Chartered Bank won for numerous digital initiatives across its global footprint. “This award is further confirmation that it is indeed market-leading. As we continue to enhance our digital platforms in Botswana, building on the exciting innovations that were launched at our first fully digital bank in Cote d’Ivoire, we are confident that this award will be repeated for more years to come,” said Tafa. The Global Finance awards are an annual recognition of the best financial institutions around the world. These awards have become recognised and trusted standard of excellence. For his remarks, Standard Chartered Bank Botswana Head of Digital Banking, Oaipetla Fantan added that the platform would only continue to offer greater reach and functionality for the Bank’s customers, “Our digital platforms are dynamic by nature, with each passing month, the platform continues to offer our clients newer features, greater convenience and have reduced the need to walk into our branches. This year we have bridged the gap between bank accounts and mobile wallets, introduced the 360o Rewards platform, introduced online debit and credit card activations. We have also offered enhanced security features with the addition of Face ID login. Looking into 2019, there are more exciting enhancements for payment options that we will be rolling out to our customers as they complete their testing phases.”However, in its half-year end June results this year, Standard Chartered Bank Botswana recorded an increase in profits to P28 million after experiencing a decline in profits for about three years.Presenting the results recently the bank’s Chief Executive Officer, Mpho Masupe said even though the commercial bank registered profit, business has not been good during the first six months of the year as they would have expected it to be. “We have been operating in an environment which has been benign to put it slightly, to an extent that you would have known that the economy only grew by 2.4 percent for the whole of 2017 which was not expected and therefore demonstrating exactly what was happening in the business environment that year.” said Masupe, adding that they are cautious in terms of extending credit.